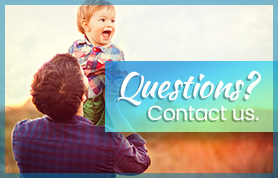 Q: I would like information about accessing my insurance benefits for ABA services. What should I do? Q: My child does not have a diagnosis of autism. Will insurance cover ABA services? A: ABA treatment can be effectively utilized for a wide range of situations and conditions. 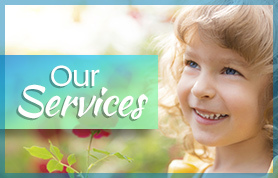 The benefit coverage and legislative mandates related to autism spectrum disorders in many states require ABA services of those with the autism diagnosis because it is the most evidenced based treatment model available. ABA treatment for other diagnostic conditions may be appropriate and coverage may be available through the standard behavioral health benefit. 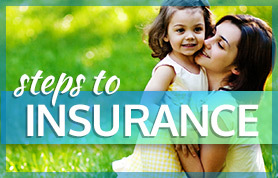 Q: What if my child does not have insurance? A: Autism Learning Partners intake specialists will help your family identify the likely funding source for your specific situation in the state you reside and help the family request needed services. Q: Why would my child get denied ABA services from insurance if the mandate requires insurance funding? 1. ABA services are not a covered benefit. 2. Clinical issues related to the medical necessity requirements not being met or the provider not meeting requirements. Most states and health plans have an appeal process and the intake specialist will help you begin the appeal process where appropriate. Q: How long does it take for the insurance company to authorize ABA services? A: The requirement for insurance companies to cover ABA services is often new and varies from state to state, so it is difficult to give an accurate timeline. Some insurance companies have provided authorizations for an assessment within a week of inquiry, while others take longer. Again Autism Learning Partners representatives are here to support the authorization process and keep it timely and efficient. Q: What is the process to getting an authorization after the assessment? A: The insurance companies have been authorizing approximately 8 to 10 hour assessments (every insurance company is different). Once the assessment is submitted, the insurance clinical team reviews the goals, treatment plan and recommendation for service, before authorizing ABA services. Q: My child has been receiving ABA services through regional center funding. Will insurance continue to fund the services at the current level? A: Generally if your child has an existing program, we will submit their assessment and most recent progress report to the new funding source. The insurance carrier or public funding source may be able to review the existing reports with their clinical team to determine authorization of services. Autism Learning Partners will guide you through this process to transition funding sources with the least possible disruption of services. Q: I am concerned about paying the co-pay for each session. Will the regional center cover the cost? A: The transition from public funding to insurance funding often results in an increase in cost to the family. Co-pays will be collected and deductibles need to be met. In some states, the public funding sources such as regional centers are considering ways to help the family with the co-pays but each regional center is approaching it differently. It is recommended that you discuss the financial implications of accessing insurance benefits with your insurance carrier or service coordinator to determine if additional financial support is available. Autism Learning Partners staff is available to explore options available to reduce the financial burden the family is facing.